Wine does not like heat nor light, which is why it must be treated with love. The time in the cellar will shape its personality from the wine’s very first moments to the time it is bottled. The wine is born in the vineyard. In the cellar we merely work to preserve what nature has provided for us. Each wine must be enjoyed in its own time. Our Finca Villazán estate is located at the very heart of the Corazón del Camino de Santiago, wine country by history and tradition through time, distinguished for the creation of red wines full of personality and singularity thanks to the indigenous Prieto Picudo variety. This drives us to implement a project which combines the manufacturing of traditional wine with advanced technology in order to achieve maximum quality and expression. Convinced that wine transcends, thrills and conquers, we wish to share our passion and love for wine in every bottle. Wine is a reflection of its mother strain and the enthusiasm and dedication that have gone into its production. The art of making wine comes from the thoroughness applied to each and every part of the production process. At our winery we provide a personal treatment to every wine, every tank, every vat, every bottle… because every single wine is unique. All of this is preceded by daily control and follow-up procedures at our estate’s vineyards. We begin by planting strains of Mencía, Tempranillo and of course our indigenous variety Prieto Picudo at our best properties such as La Sastra and El Majuelón de la Finca. .
IWe opened our winery equipped with the latest technology for producing unique, high quality wines. D.O. Tierra de León. Created under the seal of quality Origin Denomination (Denominación de Origen) Tierra de León. Manufacturing of our first red wines. 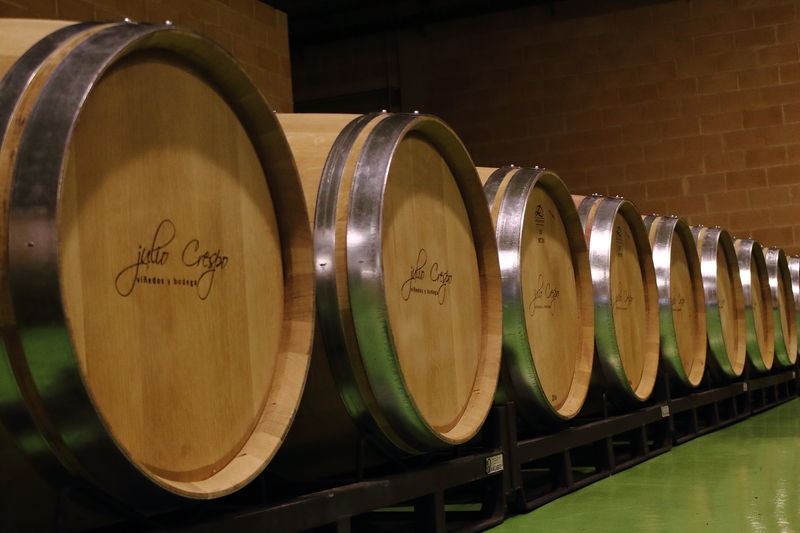 Our first aged wines produced at the winery, and we establish their first forays into the market. We started planting Albarín variety white grapes. The first manufacturing of white wine at our winery with the Albarín variety. It’s your perception that makes it special.